So far, in Lessons 2 and 3, you have learned your four turns. You have also learned to determine, where to do your turns. You have mastered to combine your turns together, add one after another in a smooth slalom line. You have got used to the right use of your hands and the right understanding of the wind window. - Riding your first wave backside. 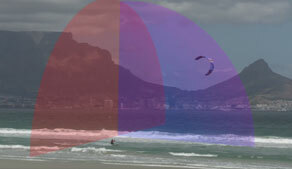 - Which wind directions are most supportive, and which wind directions to avoid for wave riding. - How to use the power of the wave. 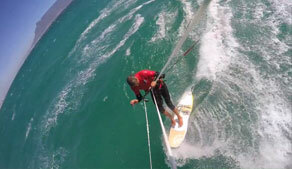 - Upwind wave riding and downwind wave riding. - The weight on your front foot and on your back foot. - How to look stylish. - How to determine your speed on the wave while wave riding backside. 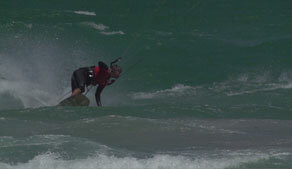 You have now completed the basics of wave kitesurfing. It is now time for the big moment, to ride your first wave. 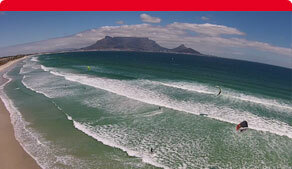 As you will soon experience, wave riding is one of the most exhilarating feelings you may enjoy in your lifetime. You will learn in this Lessons the easiest wind direction, relative to the wave direction, which supports your learning best. Also which wind directions and conditions you should avoid for now. 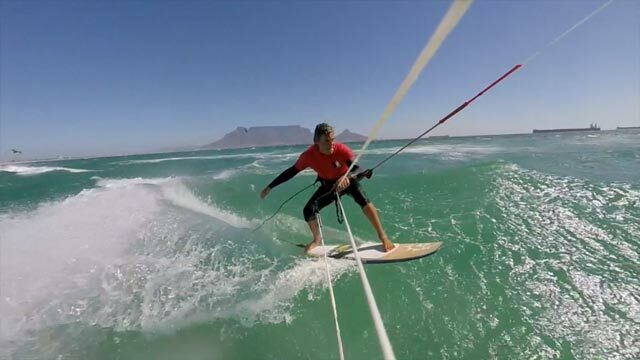 The easiest way to get onto a wave is with the backside riding technique. This Lesson will teach you and also the various techniques, how to enter the wave. 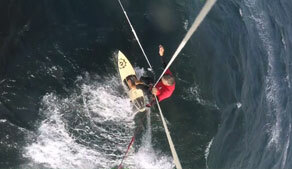 You will also learn downwind and upwind wave riding. 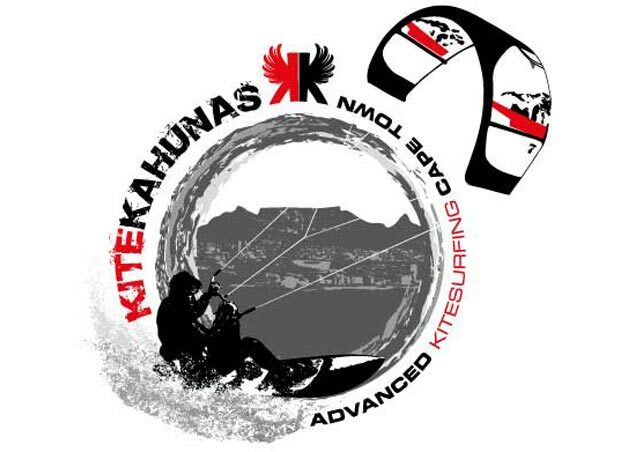 You will learn, how to best use the power of the wave and the technique of kite drifting. In this Lesson we will talk about the weight on your front and back foot and how "high" you should stand on your board. You want to look very stylish now, so learn it right. With straps or wave riding strapless. The Lesson will teach you, how to control your speed on the wave, and the various techniques, how to get off the wave again. Only a kitesurfer or a windsurfer can get so close to the spectacle of nature, watching a wave breaking just next to you. It is nothing but a privilege to witness the wave breaking powerfully from such a short distance away. 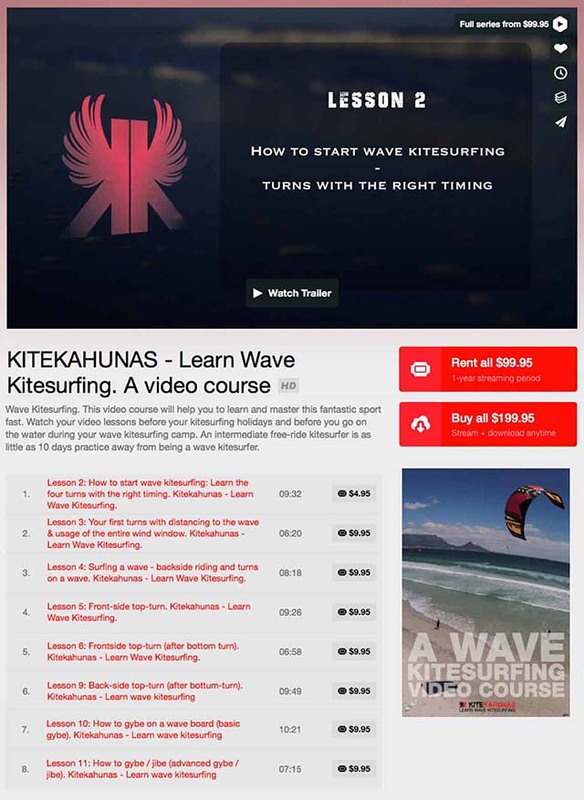 The Lesson will explain everything in detail: How to ride on to the next wave, how to surf it, upwind and downwind, how to play with it, how to control your kite and the way you feel the power of the wave and how you deal with this power and ride the wave with your turns, while drifting your kite. You will soon discover that every wave is unique. 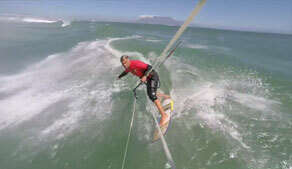 This Lesson will also talk about this backside wave riding style to surf big waves. 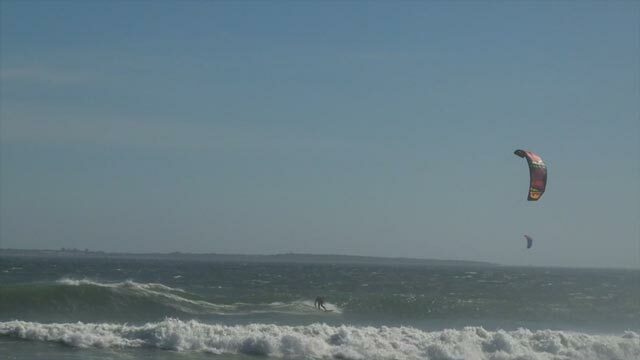 Backside riding is easy to learn, easy to perform even on big waves, it looks very stylish and it is great fun. Once you feel comfortable with backside riding, play also with riding the wave frontside. The principle stays the same, but now you are facing the wave.